Cellular Cleansing and Detoxification is only available to members of Steven Horne's Member program. We are facing a global health crisis, one that threatens not only your own health but the health of future generations. This health threat is contributing to the rise of problems like autism, autoimmune diseases, cancer, mental illness, learning disabilities, memory loss and more. We’re talking about the problem of chemical toxicity, particularly from petrochemicals and heavy metals. More and more of these chemicals find their way into our bodies each year, and they aren’t easily eliminated, especially when most people are lacking the nutrients they need to expel them. These chemicals aren’t eliminated simply by taking laxatives, fiber and diuretics to open up the eliminative channels. This is because they are stored in the tissues, inside of the cells themselves, and must be flushed from the cell before they can be flushed from the body. These toxins are often stored in fat cells, which can make it difficult to lose weight. They can also be stored in the bones or lymphatic tissues. To get rid of them you have to get the cells the nutrients they need to process these toxins and expel them, only then can they be flushed from the body via the eliminative organs. Traditional colon cleansing isn’t sufficient to do the job. 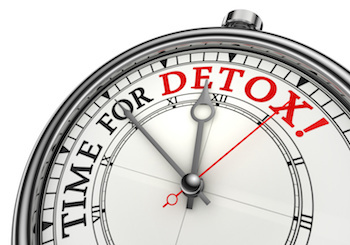 We need a whole new way of approaching detoxification. In fact, we might call it cleansing 2.0. In this herbal hour, you’ll learn how to support cellular detoxification using exciting new methods to support detoxification at the cellular level, so you can rid your body of these health-destroying chemicals.